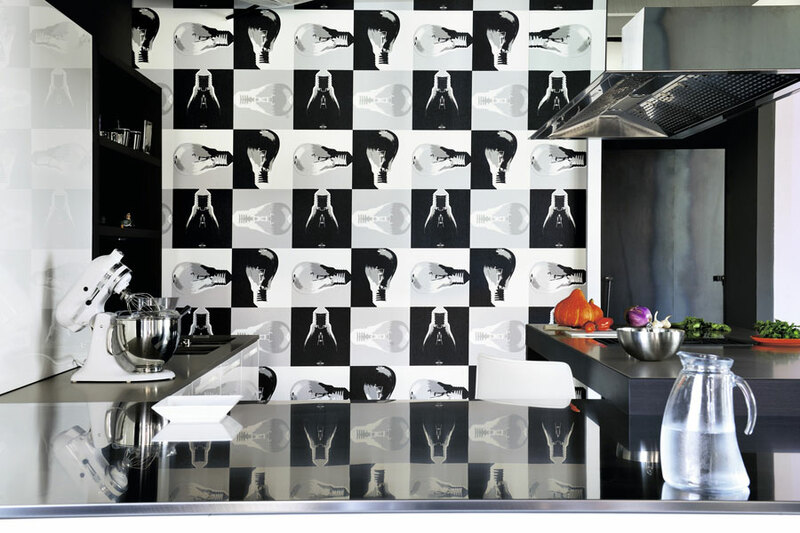 Wallpaper is having a renaissance. Gone are busy patterns and the twee florals of yesteryear and never more should they adorn our walls. No, today’s wallpaper revival is a revitalised assortment of bold prints, geometric shapes and soothing reflections of the natural world. There’s something dreamy about soft blue skies and wisps of white cloud. It’s reminiscent of the simple pleasure of lying on the grass on a glorious summer’s day. It’s also something that many of us rarely get chance to do, such are our busy lives. Graham & Brown has brought this wistful notion to interior design with Cloud Nine wallpaper. You’ll be enjoying those heady summer days long into winter. Wallpaper that brings textures from the natural world indoors has been a hit this year with interior designers. Hot on the heels of this trend are textures from the urban environment. Surfaces such as concrete and plaster have a tactile beauty of their own; especially evocative of the distressed plasterwork of Italian palazzos. Designers Guild has captured this to spectacular effect with its Botticino offering. Your walls will effortlessly reflect the grandeur of a bygone era, crumbling in the Italian sunshine. Andy Warhol’s Pop Art statement about the gaudy appeal of popular culture and the boldness of everyday objects has been re-imagined by Elitis in Switch. Though its cool lightbulb print is anything but gaudy. 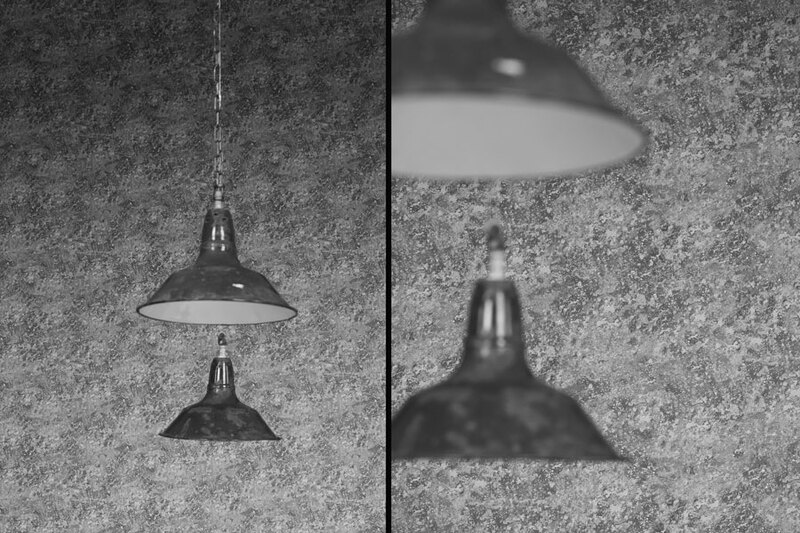 Sleek and stylish, the humble lightbulb is duplicated in contrasting tones until it is elevated it to icon status. What a good idea. 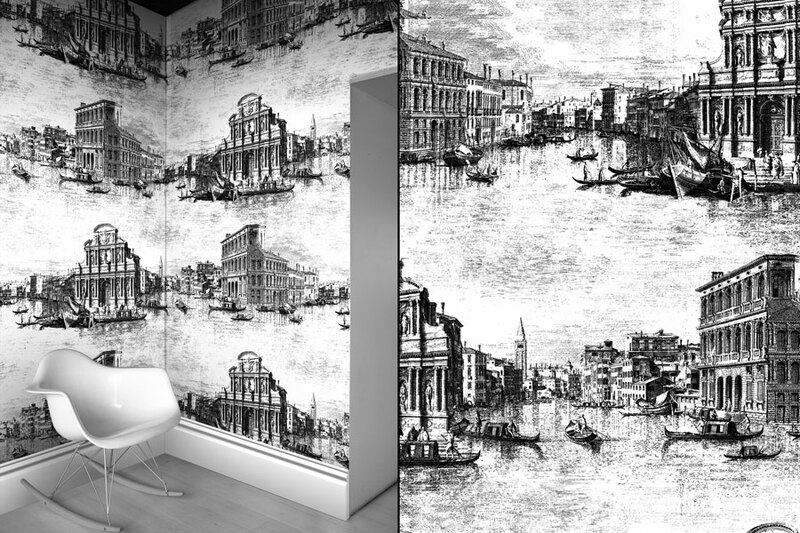 No pastoral vignettes here, instead 18th century renderings of Venice create a strikingly beautiful print. The flowing canals, gondoliers on their daily trips and classical buildings capture the romanticism of the sunken city. Cole & Sons’ Venice paper is such a statement piece that you’ll want to limit your furniture so you can see it in its full glory. Champagne can be enjoyed year-round but there’s something about its cool, refreshing bubbles that is best in summer. That’s why this three-dimensional paper from WallArt is appealing. 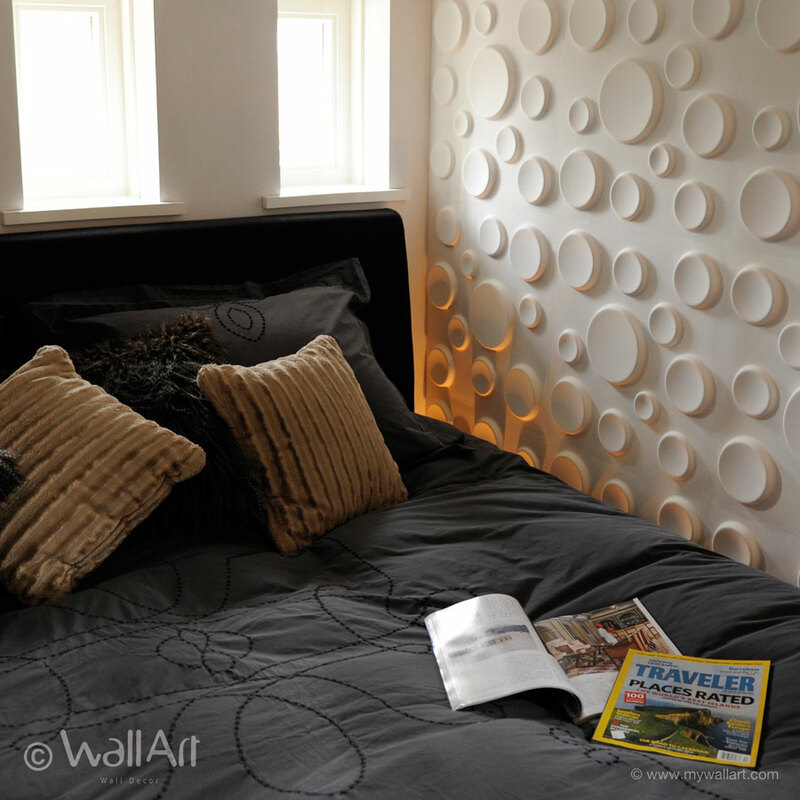 Craters is gorgeously tactile; the fizzing circles play with light so a feature wall looks different from different angles and at different times of the day. Available in different dimensions so you can create an effervescent focal point. Cole & Sons has created an instant classic with this graphic, chevron print. Orla Kiely has been leading the retro charge for some time with her 1970s-inspired geometric prints but this is a sophisticated step further. 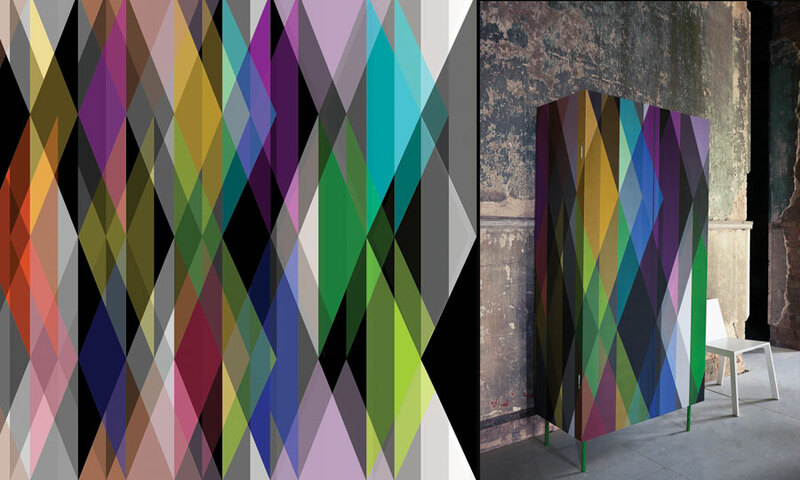 Splashes of bold colour and muted tones create an edgy and contemporary look. Bolder still, use Circus on a grand scale and complement with angular monotone furniture. The Cherry Blossom design is en vogue at the moment, bringing a touch of the Orient to an assortment of home furnishings. As delicate petals scatter in the breeze so it whispers of the serenity of mountain streams and rolling hills, Graham & Brown have taken this Zen theme and pared it back. What is left is an ethereal wallpaper with a shimmer of cherry branches. Very soothing. Want to get the look but do not know how, simply get in touch and our interior design experts will help you achieve it with ease.